Is there any spirit there? Next serial about the inhabitants’ everyday life on Hirta. After an interest for fishing birds in the first part, here is, in the second one, the spiritual life of the community. It talks in particular about druidism. 2- Is there any spirit there? The extreme isolation of the archipelago and the permanent contact of its inhabitants with violence of natural elements allow explaining the deep attachment of the islanders to what we could consider as paganism, shamanism or druidism. We don’t know in detail the organisation of the spiritual life on St Kilda during the centuries of isolation. But it is sure that no “instituted religion” exists then. Community beliefs are in place but do not form the pattern of everyday life. There are neither Services nor regular ceremonies. These latter probably take place during exceptional events. When the Calvinist religion tries to enter the islanders’ habits, it meets first a lack of understanding. In the XVIIIth century, Alexander Buchan tried to establish an institutionalised religion but failed. In the XIXth century, the “Northern Apostle” John Mac Donald reports that he is “horrified” by the lack of religious knowledge of Hirta’s inhabitants. He also notices that they strongly believe in spirits they detect in natural elements, in animals… In the XIXth century, the community really put down roots in shamanic, druidic beliefs. By the way, during the XVIIIth century, Reverend Kenneth Macauley mentions the existence in the archipelago of five druidic altars, “composed of a large circle of stones perpendicular to the floor next to the Stallir House on Boreray”. 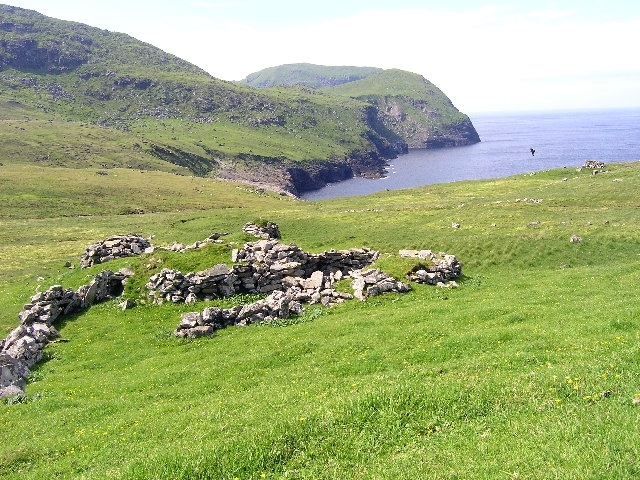 A proof that the spiritual life of Hirta’s inhabitants finally did not change much since the first years of occupation of the place. The end of the community is speed up by a radical transformation during the XIXth century. The Calvinist religion sometimes imposed itself brutally, as we already mentioned it here. Remains of the “Amazon’s house” on Gleann Mor heights. St Kilda does not avoid its inhabitants to create a mythology. The episode of the warrior Amazon is one of the most striking. 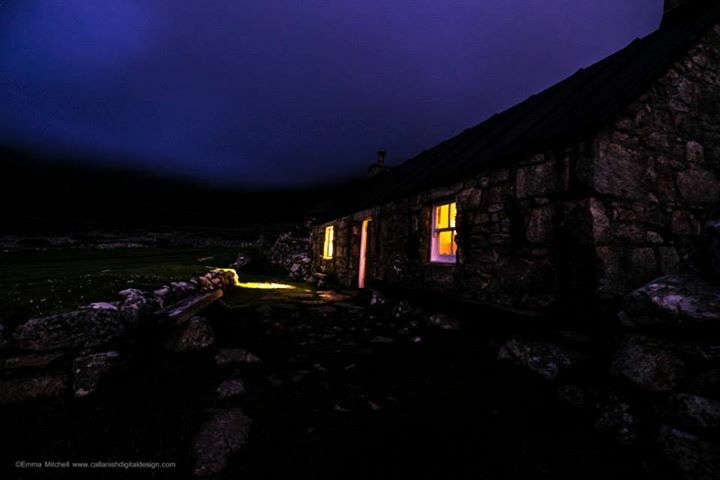 On Gleann Mor, on Hirta heights, the Taigh na Banaghaisgeich (the Amazon’s house) can be seen. It is a circular construction, made of stones only, whose roof resembles a pyramid with an air duct in its centre. On each side of the entrance, two long lying stones are present on which – according to the legend – she would have put her helmet and sword. It would be the resting place of a mysterious Amazon who would have hunt on lands today engulfed between St Kilda and the Outer Hebrides. Not an archaeological proof came to confirm this story, but this time, let’s enjoy leaving place to benefit of the doubt! Tags: druidism on St Kilda, Kilda project, Spiritual life on St Kilda, St Kilda history. Bookmarquez ce permalien.